Volunteers are at the heart of what we do. 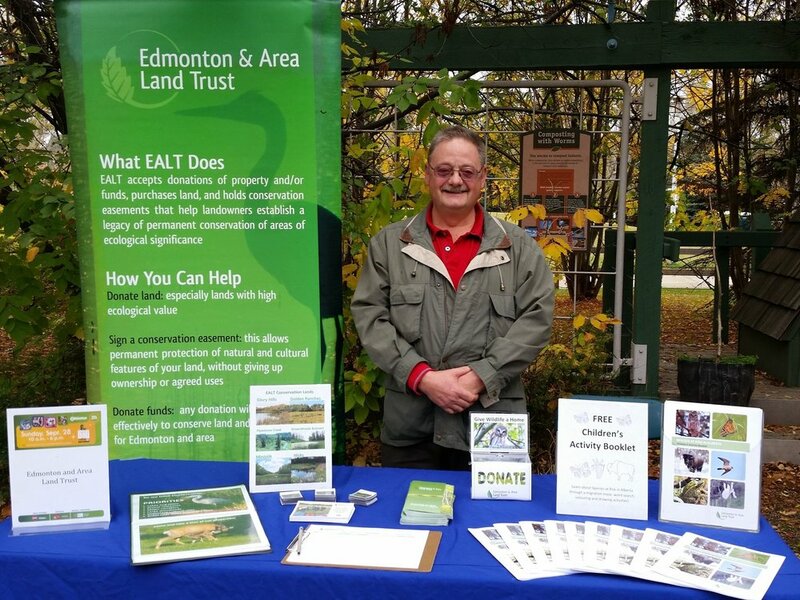 EALT Volunteers take great satisfaction in their activities, knowing they're making a true difference by conserving natural areas, building community support, and educating the public about environmental stewardship. A day in the field with our Volunteer Team is a great opportunity to meet like-minded people and have fun working towards a common goal. Check out our Volunteer Manual to find out about the many ways you can get involved throughout the year. We send an email to our Volunteer Team once a month with upcoming volunteer opportunities. Join our team by subscribing to our volunteer email, contact Meghan, our Stewardship Coordinator, at meghan@ealt.ca for more information, or check out our upcoming volunteer events. Enjoy spending time in nature on your own, or with close friends? You may be interested in becoming a Citizen Scientist! You can help EALT research, monitor and steward our lands and further our conservation actions. Find out more in our Citizen Science and Stewardship manual. Opportunities are included in our monthly emails, or email Rebecca, our Conservation Manager, at rebecca@ealt.ca for more info. We also encourage you to submit your bird and butterfly observations on eBird or eButterfly. We may reimburse volunteers for travel costs incurred while volunteering, by providing a tax receipt. Follow the instructions on the Expense Compensation Agreement and Volunteer Travel Record, and submit both at the end of each calendar year. Some things to keep in mind if you’re supporting EALT by organizing a fundraiser. Click the photo below to view EALT's Volunteer Story Map to see what volunteers accomplished in 2017! A number of employers, including the federal government, allow their staff to do a volunteer day every year and/or arrange for group volunteer days. Contact your Human Resources department to find out if you are eligible, then contact us to arrange your volunteer day!